Even though the Volkswagen Jetta is popular as a “chick car”, I never got around to reviewing one because as you might have guessed, I refused to review an automatic Jetta. When I was growing up, I always had a fondness for the third generation Jetta. I loved the boxy looks of it, and how with a spoiler and the blacked taillights, it resembled a sports sedan. My friend’s mom let me come to her office to review her coworkers’ cars, and she knew I only wanted to do manual cars, so she let me look around the parking lot. 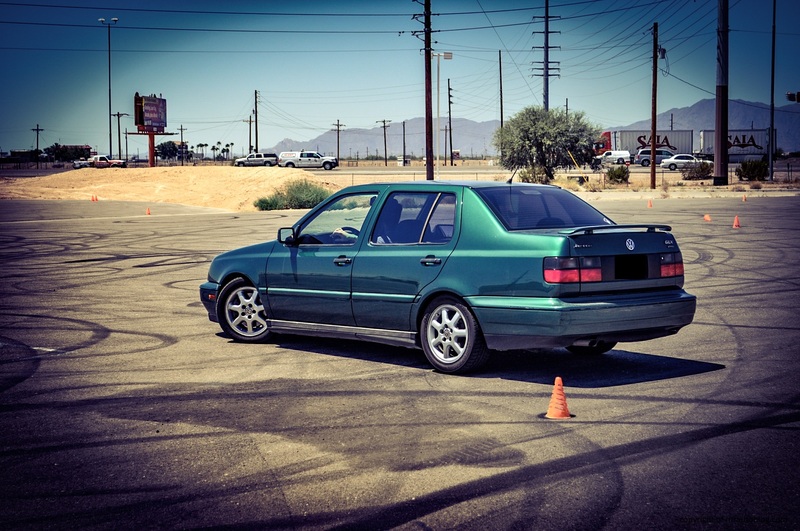 I came to this beautiful green Jetta, and I looked inside, and sure enough, it was a manual. 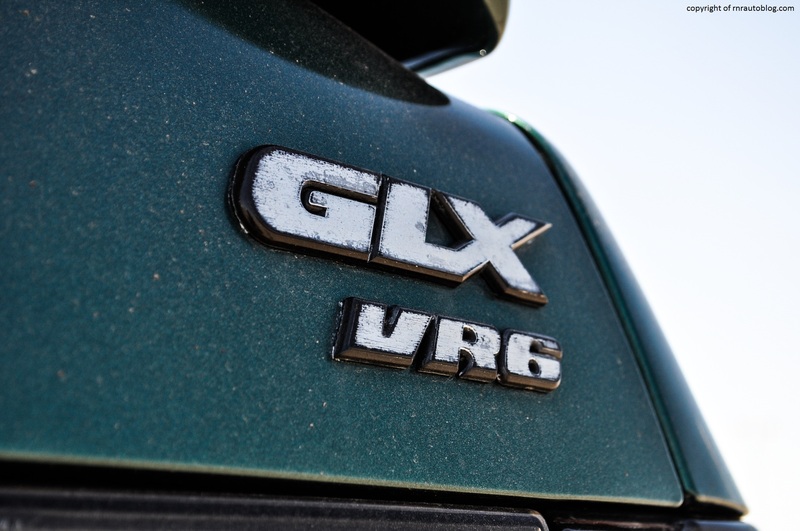 Not only that, this is the top dog GLX VR6. I got so excited that I started sputtering facts about the VR6 engine and random details of the Jetta that she could not help but get annoyed. Moving back to the Jetta, the original Jetta debuted in 1979 as a sedan version of the Golf hatchback. It was literally a Golf with a trunk crafted on. Back then, European cars were typically hatchbacks, and sedan versions of the hatchbacks were basically a hatchback with a trunk instead of a hatch. 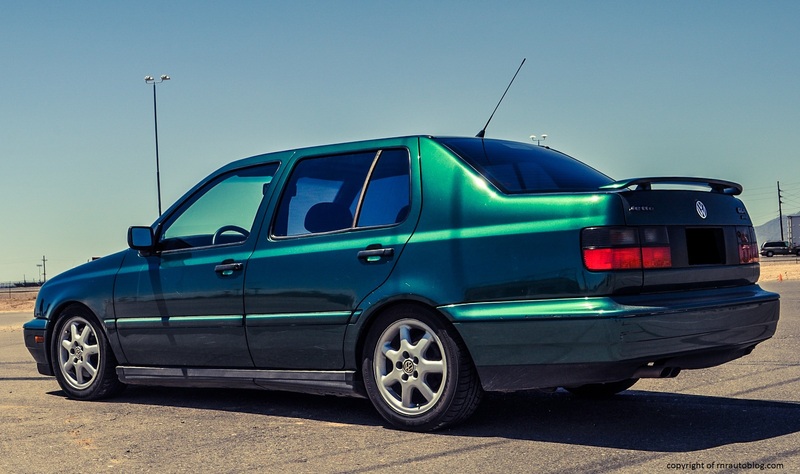 The Mk1 Jetta (generations of the Jetta are classified by MK’s) was designed by Giorgetto Guigiaro, a famous car designer known for designing Ferraris and Lamborghinis. Given that European cars sold in North America at the time were expensive luxury cars, the affordable Jetta became the best selling European model in the continent. 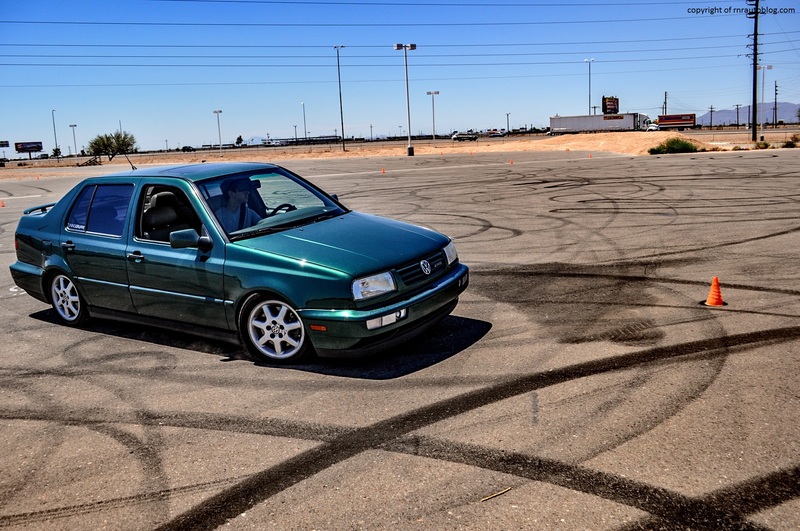 The MK1 Jetta was praised for its handling and performance, but less so for reliability. 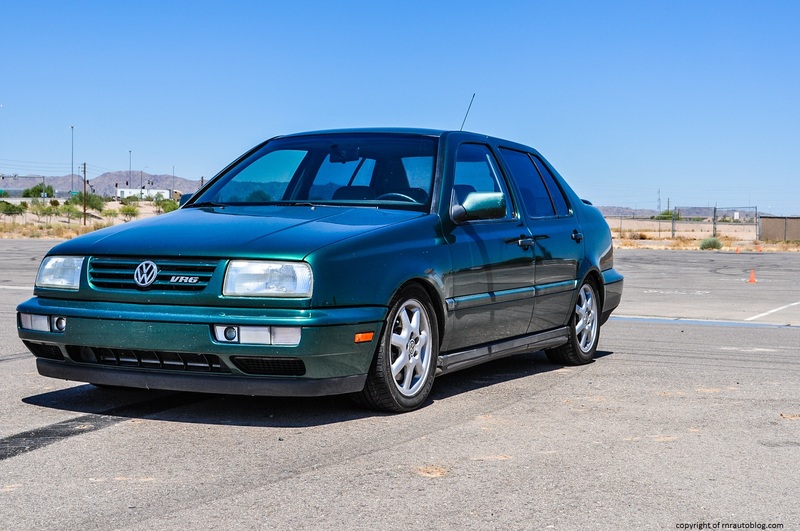 The second generation Jetta arrived in 1984, and it retained its title as the best selling European car in North America, and another redesign followed in 1993, boasting a more aerodynamic look as well as an increase in refinement and quality. The VR6 version here is the high performance version of the Jetta, and it comes with a 172 horsepower narrow angled six cylinder engine. First of all, I already fell in love with the color. Green is my favorite color, and the Sequoia Green Metallic is stunning. The front portion of the car is lifted from the Volkswagen Golf hatchback. 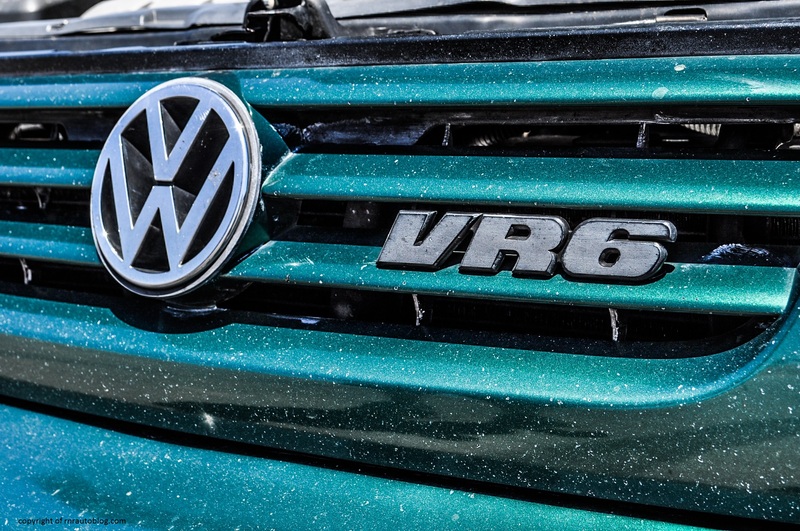 With blocky headlights and squarish features, you would not be wrong for mistaking it for a Golf. The side profile is simple with a strong character line running through the side. The rear is where it gets exciting because of the taillights. For this generation, some versions had blacked taillights, and I love the effect of the taillights being half blacked. I don’t know why, but it just makes the rear look unique. The spoiler sets off the rear well, and what I like about the design is that it does not go overboard. THis is the performance version, but it does not have any guady adorements and fake vents and none of that stuff. The interior is functional in terms of design, but at least the interior is full of light colors. 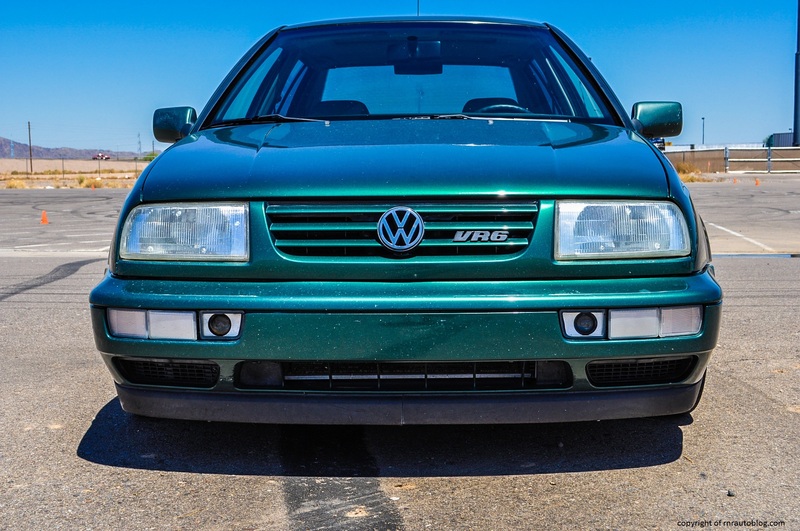 To sum up, the MK3 Jetta still looks good now because of its ability to age well. Unsurprisingly, the Jetta feels like a fun European sports sedan. 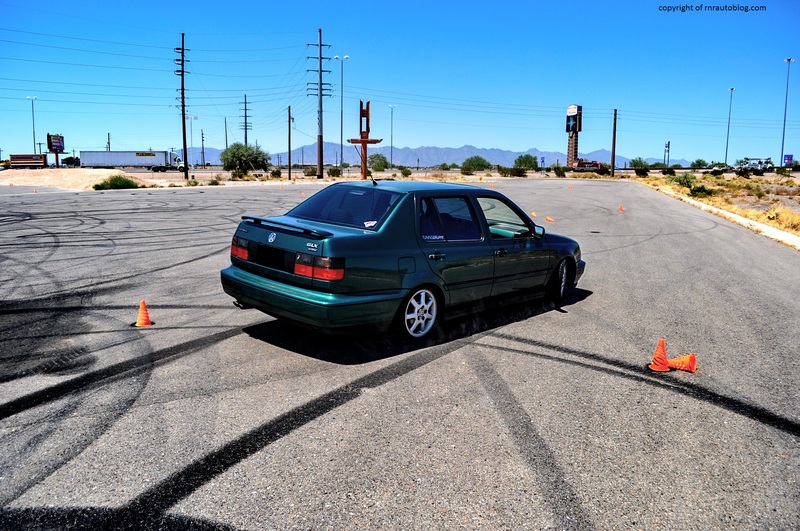 The lowered suspension makes for supple body lean, and the handling is crisp. The steering is light, but it relays road textures through the steering to your fingertips, and you really get a sense of what the front tires are doing. The steering moves with the quickness and precision belonging to a sports car. This car feels made for turning, but there is a caveat. As with big engines in small cars, the six cylinder does hamper its handling a bit. Because it is a transversely mounted six cylinder, the engine is placed way over the front axle which contributes to relentless understeer. You can probably tell from the pictures above, but if you turn the wheel all the way at speed, then it literally just insists on going straight rather than turning. Of course, this is at the very limit. But still in enthusiastic driving, the Jetta is an entertaining car. As a driver, I felt connected to the car, and I got the sense that all the controls were working in harmony. Even the sharp brakes contribute to its fluid handling. There is a delicacy to its handling that is hard to explain. It feels…articulate. I mean that as a compliment. Even though the suspension is lowered, the ride is not as bad as you would think. There is an underlying firmness, but road imperfections do not jostle the cabin uncomfortably. 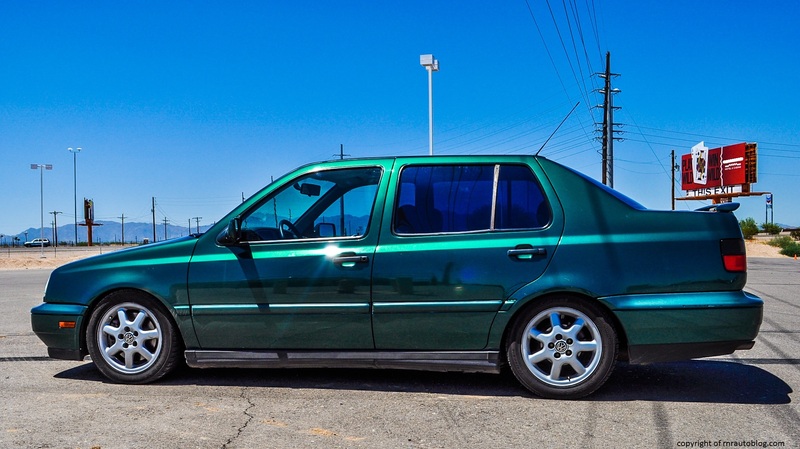 The point of the VR6 is the engine that powers this version. 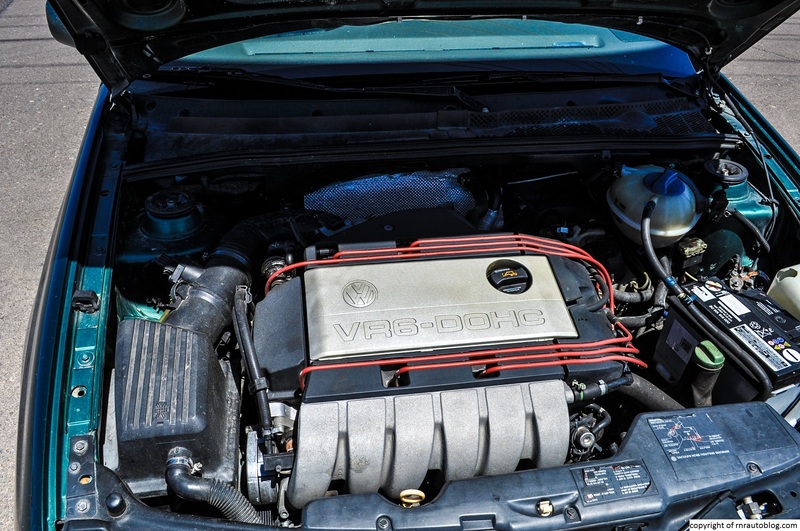 Whereas lesser Jettas were powered by either a 115 horsepower 2.0 liter four cylinder or a 90 horsepower 1.9 liter four cylinder diesel, the VR6 is powered by a 172 horsepower narrow angle six cylinder (V6s are usually wider angle). According to Wikipedia, 0-60 mph takes 6.9 seconds which seems accurate. It lags a little at low revs and you do have to downshift to quicken the pace, but once you do, you will find that its midrange power is impressive. Past 2,000 rpm it surges, and the power delivery feels smooth, even at the end of the powerband. 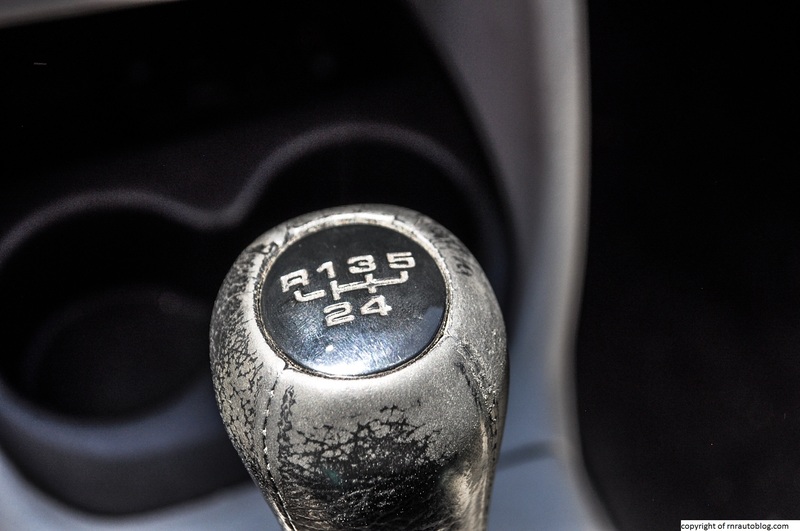 The five speed manual transmission coupled to the six makes for a great combination. The shifter reminds me why I love Volkswagen manuals. The shifter is slick with short throws, and the clutch has excellent feedback and weight. However, like all Volkswagen manuals I’ve done, the clutch travel is long. You can tell that its almost 20 years old just by hearing how noisy it is. It isn’t terrible, but in the decade of sound proofing and noise cancellation technology, the Jetta is noisy. 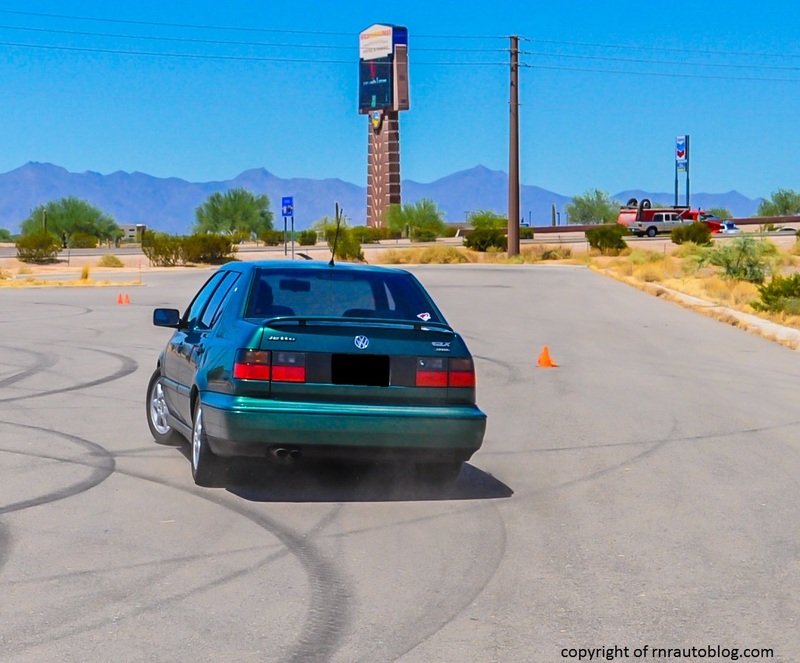 There is a lot of tire roar at cruising speeds, and the engine emits a noticeable buzz into the cabin at low revs. As revs increase, the buzzing increases. The engine note isn’t bad, but for a car like this, it would have been nice to have a sporty engine note to match the handling and looks. The first thing I noticed when I sat in the driver’s seat was how comfortable and snug the seat was. The seat hugged me in all the right places, and thigh and lumbar support are spot on. There is enough legroom in the front for you to stretch out your feet, and thanks to the boxy cabin, headroom is plentiful. Another benefit of the upright cabin along with large windows is excellent visibility. 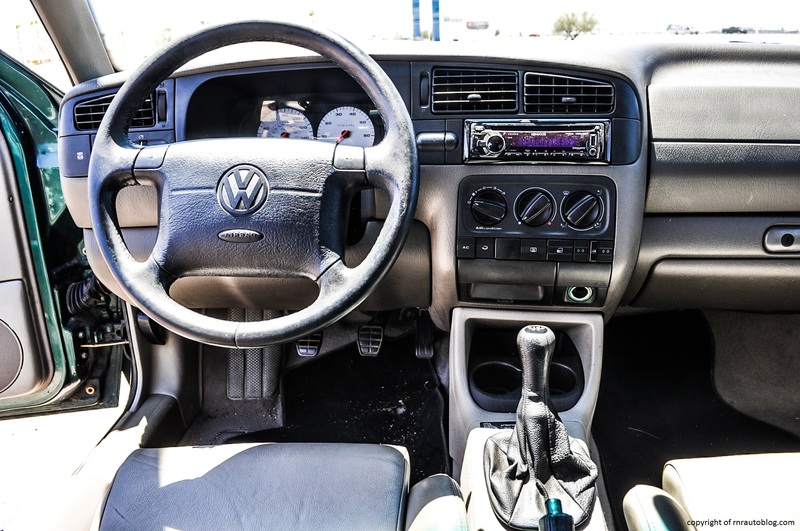 As per Volkswagen’s standards, the cabin is beautifully finished, and the surfaces as well as the dash are soft touch. The leather steering wheel and the shifter feel good to hold, and I appreciate the stitching around the shifter. 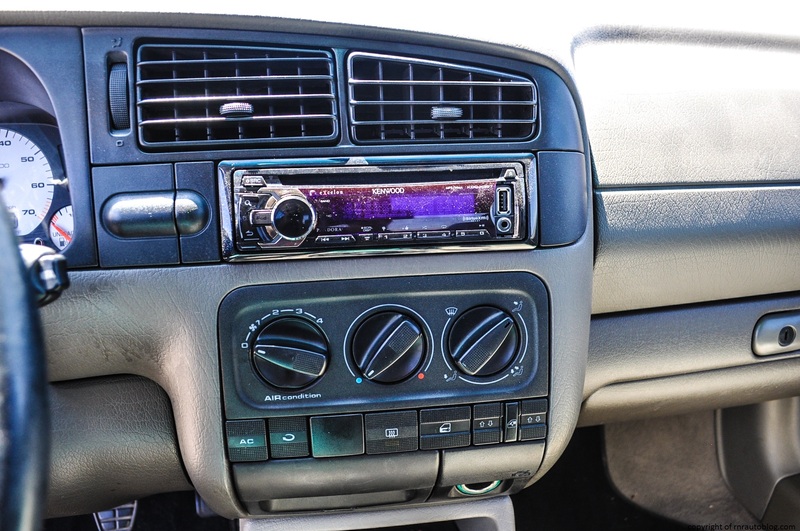 The gauges are logically placed and easy to read, and the controls are a boon to use. I was expecting a small trunk since this is a compact car, but it is huge for such a small car! Not kidding, you could stuff five people in there. Maybe six if you really don’t like the sixth person. The rear is roomy for two adults, although I suspect that three people will find the rear seat too narrow, and compared to the front, the rear seats feel firmer. Access is easy as can be thanks to wide opening doors and the tall roof. 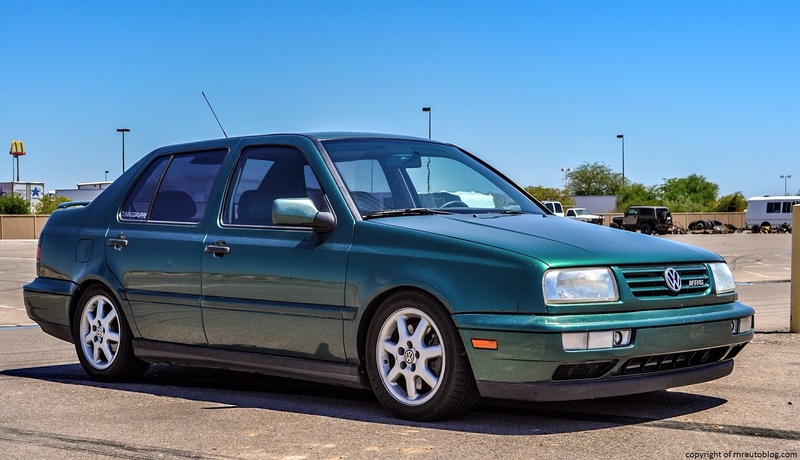 When I was growing up, there was a short period when I wanted a MK3 Jetta as my first car. I just loved the look of it and especially the blacked taillights. 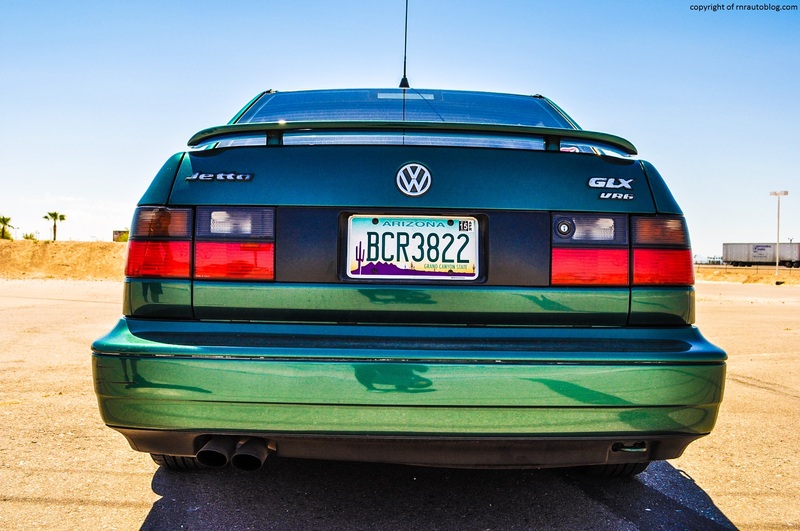 Of course this was before everybody decided that it was cool to black the taillights of their cars, but regardless, in my opinion, the Jetta is a good looking car, and it has aged well. It reminds me of a puppy. It is rough around the edges, but you know that you can’t resist it. Aside from the significant understeer (which could be avoided if I went with the four cylinder instead of the six cylinder), the Jetta handles well, and with a high quality cabin, it is not a bad place to sit in. The engine is enticing, but the six means that it is heavier than lesser Jettas which means it doesn’t handle as well. I have a bucket lists of cars that I want to own someday. I should explain…this bucket list is full of ordinary cars that I want to own for a short period of time and then get rid of just so I can say I owned one. When I have the money, I am going to track down a MK3 Trek or GT (those are the ones that come with the blackened taillights and are four cylinder), and own one. Obviously, it will be a manual too. 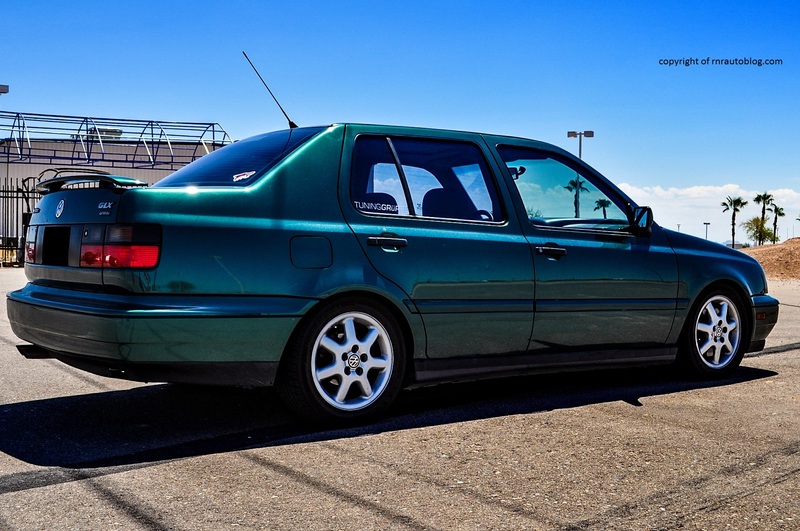 This MK3 Jetta reminds me why Volkswagen is “Das Auto”.